What's The Difference Between Iranian President Ahmadinejad And Rabbi Yosef? Islamophobia is still on the rise in America. The Zionist Jewish controlled MSM is still continuing to harp to the American public about the need to destroy Islam, and the need for a "holy" war against Muslims. They are still harping the continuing lie that it was Muslims that attacked America on 9-11 to the public that is still largely not aware that these attacks were carried out by the Israeli Mossad with their agents in America! I still cannot believe that the American public is gullible enough to fall for this pure propaganda! Recently, we have seen a Rabbi in Israel, Rabbi Ovadia Yosef, call for the EXTERMINATION of all Palestinians in the West Bank! It is amazing that the Zionist Jewish controlled media in America has totally overlooked this blatant call for mass murder, while it continues to preach hatred of Muslims in an attempt to brainwash Americans into supporting new wars for Israel. The hypocrisy of this is overwhelming indeed! What's the difference between President Ahmadinejad and Rabbi Yosef? NTS Notes: We have always been subjugated to the corrupt spew from our controlled media that President Ahmadinejad called for "wiping Israel off the map". This, readers, is an outright LIE that has been perpetrated to create the continuing image of Iran and its President as being the criminals. President Ahmadinejad stated that he wanted to see the Zionist regime removed, and NOT the state of Israel itself. However, the Zionist Jews in control of the media simply twisted these words and spewed out to the public a complete lie that they still harp to this day. When will people finally learn that the real criminals are the Zionists in Israel themselves? How can the world not see that as being the real truth after reading the outrageous and mortifying statement by that Rabbi? Is it not obvious that he was stating the truth by saying that the Zionists want to have the Palestinians eliminated all together, so that their land can be seized for the greater Zionist Jewish goal of a "Greater" Israel? Again there has been absolutely no media coverage of that statement by Rabbi Yosef. Again it falls on us, the bloggers, in getting the real truth out for everyone to see. Please take this article, and pass the real truth around to others! Is THIS Why Americans Are Not Rising Up Against Their Corrupt Government? I and others in this real truth movement are constantly amazed as to how it is that the American public has not to this day risen up against their own corrupt government and either removed the traitors and pro-Israeli shills in their Federal government, or at least demanded some type of radical change to kick start the United States back on the road to a true recovery! 50% of adults work for government at a local, county, state or federal level, or for a corporation that has a contract with the federal government. None will bite the hand that feeds them. 10% are unemployed and will not bite the hand that feeds them. 15% are on welfare and will never ever bite the hand that feeds them. 20% are getting or within a few years be getting social security and will never bite the hand that feeds them. That leaves 5% that are not being fed by government and are used to feed the other 95%. However, due to social norms and media spin along with the fear that it would only get worse if they do rise up against government, they too will never revolt against government. The only chance for these 5% to become unburdened, is for a worldwide economic collapse in which the other 95% die off and loose their ability to control a system that funds their free ride on the back of the few. So, ask yourself—- how bad do you want to be free Jack? I say, absolutely free. NTS Notes: Yes, many of these points are plausible. The problem is that as the American nation sinks into full economic collapse, the number of people unemployed will rise, while those who were employed by the Government will definitely fall. As these numbers change and people see no solutions coming from the government in Washington, that 5% will definitely increase, and guaranteed that demands for real change will occur. The 5% figure does seem small in a population of 300 million, and I cannot see a dying off of the other 95% before we see changes in America. Realistically, people need to look at their history as to how the original American revolution was started and fought by less than 5% percent of the American colonialists. So realistically there is still hope yet for the United States of America, and the world! I want to make it perfectly clear for all of my readers, and especially those who are new to this blog. Israel is in dire straits due to a severe fresh water shortage. The Zionist state has never practiced proper water conservation techniques in a land that is mainly desert. There is little or no rainfall in Palestine at most times of the year, and the Zionists have wasted their precious water resources by allowing its citizens to maintain their homes with such luxuries as, believe it or not, swimming pools! They have been forced to obtain their water by draining the aquifers of the occupied Palestinian West Bank and the Golan Heights, and have even diverted the waters of the Jordan River to the point that it is nothing more than a trickle when it enters the Dead Sea. The Zionist in Israel have now been desperately looking for a new source of fresh water, and this is where the Litani River comes into play.... The Litani River gets its source from the melting snows of the mountains of Lebanon, and it flows south and then west into the Mediterranean Sea just below the Lebanese city of Tyre. This fresh water river has been coveted by the evil Israelis for decades as a method of solving their severe water drought, but the problem is that the Litani River does not flow through Israeli territory, and its closest approach to the state of Israel is about 15 km north of the Israeli border. There has been recent provocations launched by the Zionist Jews to try to provoke a new war against Lebanon just so that they can invade southern Lebanon and secure the Litani River for themselves. The recent incident where an Israeli soldier was purposely dangling over the separation fence between Israel and Lebanon into Lebanese territory (in spite of what the controlled media says, it was Lebanese territory), was an obvious act of provocation, but the Lebanese did the right thing and did not take the bait. Israel is even using the BS media propaganda that they need to invade southern Lebanon to stop the phony and non-existent Hezbollah "rockets" as another ploy to get their invasion going. They definitely will not stop until they get their excuses to have southern Lebanon invaded so that they can grab the Litani River for themselves! "Besides bordering on Israel, Lebanon's resources make it vulnerable, namely its water and natural gas reserves, one reason for the 2006 war, South Lebanon to the Litani River especially important. Also the Wazzini springs feeding into the Hasbani River tributary of the Jordan River. It flows into Israel two miles downstream from the Wazzini, then into the Sea of Galilee that's Israel's largest fresh water source." ● for over 40 years, repeatedly violating Lebanon's territory, often daily, including 12 Israeli jet overflights on August 19. "avoid entering conflict with us, (adding that) We need to constantly prepare for a change in the status quo, though we don't know when it will occur. We don't want for it to happen, and it might not, but we will not be afraid to react if we have to fight back." NTS Notes: The issue of the Mediterranean gas fields is a side issue to Israel's true goal, which is obviously the fresh water source of the Litani River. People must remember that in a desert, water is more valuable than oil or gas! And again the issue of Hezbollah being a threat to Israel is totally bogus, and just another of a long list of hyped up excuses for Israel to invade southern Lebanon. 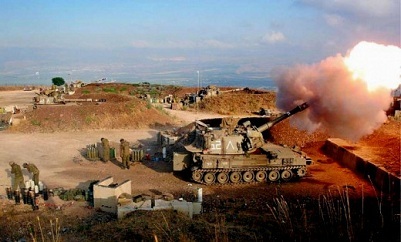 War with Lebanon may be coming very soon, and people must be aware of the true intentions and true reasons for Israel to invade southern Lebanon. Again, a new act of provocation on the part of these Zionist criminals may be coming soon for them to get the invasion going! The REAL Perpetrators Of 9-11: The US Military KNOWS Israel Did 9-11! We are presently watching a rising hatred of Muslims in the United States of America. I and others have been putting up articles of real information that shows clearly that this hatred is totally unfounded and absolutely wrong. Americans are being led down this path of hatred purposely by the Zionist Jews in America that want the Americans whipped into such a high state of absolute hatred for Islam that the gullible Americans will blindly support Israel's newest lust for war against its Muslim neighbouring states! That is the real reason for this hatred. Many Americans are believing the BS that Muslims are evil due to the Zionist Jewish controlled media continuing to perpetrate the lie that the attacks of 9-11 were done by "19 A-rabs using box cutters" to seize the planes and fly them into the buildings. 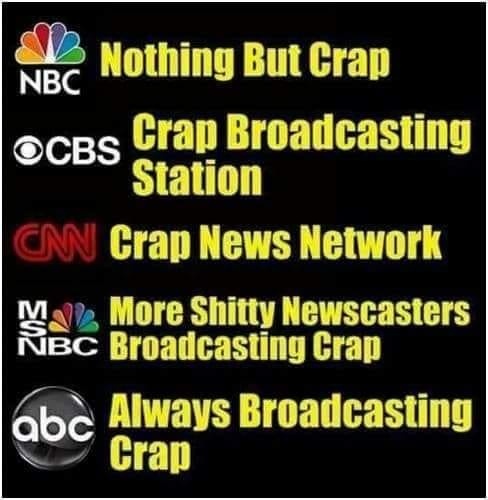 Logical and rational people are finally waking up to the real truth that the attacks were not done by Arabs as the sick media says, but by Israel with its Mossad and Sayanim operatives in the United States! Again, to reawaken the American public and the people around the world to the perpetrators of the 9-11 attacks being Israel and their agents in America itself, I turn again to a video that was released back in March, shortly after Dr. Alan Sabrosky went on air with Mark Glenn at www.theuglytruth.wordpress.com/podcast, and stated clearly that it was Israel that did 9-11! NTS Notes: I am again asking my readers, and especially those in the United States, to again take this real information and pass it around to those who are being suckered in by the rising Islamophobia just to give them a reality check. The rising hatred of Muslims is totally unfounded, and the real hatred should be pointed at the real perpetrators of the greatest crime on American soil; The Israelis and their agents who killed thousands of innocent Americans on 9-11! Health Warning: Finland Suspends H1N1 Vaccines After Children Suffer Narcolepsy From Vaccinations! The message that ALL so called flu "vaccines" are dangerous to human health has been one of my main focuses in this blog. We have already seen that the H1N1 scare was a fraud perpetrated by the Pharmaceutical Industry and the World Health Organization for the sole purpose of profit. These criminals did not give a damn that their poisonous vaccines were crippling people around the world, because GREED was the order of the day! (NaturalNews) Shortly after Australia banned flu vaccines in children due to an alarming increase in vomiting, fevers and seizures caused by the vaccines (http://www.naturalnews.com/029586_A...), Finland has now suspended H1N1 vaccines due to increased reports of narcolepsy in children and teens. Narcolepsy is a nervous system disorder characterized by extreme fatigue and daytime sleepiness. It indicates a serious malfunction of the brain and nervous system. Finland is now reporting that narcolepsy is appearing in children immediately following vaccination with H1N1 vaccines. So far, six children are confirmed of suffering the neurological side effect and nine more are in the process of being confirmed, reports The Epoch Times(http://www.theepochtimes.com/n2/con...). There's no real evidence that seasonal flu vaccines work at all, in fact. Most of the people who get sick every winter, it turns out, are the very people who got vaccinated. That's because vaccines actually weaken the immune system and cause increased risk of futureinfections. A study published in the journal PLoS revealed that seasonal flu vaccinationactually increases the risk of H1N1 swine flu infections ("Does Seasonal Influenza Vaccination Increase the Risk of Illness with the 2009 A/H1N1 Pandemic Virus?" Viboud C, Simonsen L (2010) PLoS Med 7(4): e1000259). When it comes to vaccines, children seem to suffer more than adults. It is the children who are winding up in hospitals, convulsing with seizures or suffering narcolepsy. The saddest part of this is that these children could be very effectively protected from seasonal flu withvitamin D, but the medical industry isn't recommending vitamin D for children. Please make sure that you do not get suckered into taking the criminals' so called "seasonal" flu shot. These vaccines are absolutely dangerous to your health, and have horrendous side effects beyond what has just happened to children in Finland. Again, if you are worried about catching the Flu in this upcoming season, just up your daily supplement of Vitamin D, and do not believe what the criminally controlled MSM says about the necessity of any flu shot!